The Barbie Doll is an icon in American history. Young girls have been playing with Barbie since 1959 when the doll was first introduced. Jill Barad president of Mattel, which manufactures Barbie said, “99% of girls ages 3 to 10 own at least one Barbie doll.” Though Barbie has been considered anatomically incorrect, teens and women everywhere consider Barbie to have the perfect body. According to the Media Awareness Network, “Researchers generating a computer model of a woman with Barbie-doll proportions found that her back would be too weak to support the weight of her upper body, and her body would be too narrow to contain more than half a liver and a few centimeters of bowel.” Even with realizations such as those mentioned above and professional opinions, teens and women are continuously looking for ways to get the “perfect” body that clearly doesn’t exist. With the media’s portrayal of skinny bodies, tiny waists, and big busts, beauty products and diet plans are constantly growing and becoming more profitable by the day. Women become insecure with their body image because they are surrounded by the unattainable beauty presented in the media. This overwhelming presence of thinness presented in the media can easily bruise women’s confidence and self-esteem. Living in the culture of thinness can ultimately lead to self-destruction. However, some marketing companies, such as Dove, are fighting against this stereotype and defining what real beauty truly is. The Dove® Campaign for Real Beauty was created in September 2004 to encourage women to voice their opinions on the issue of the definition of beauty. Through these discussions, it was obvious that the definition of beauty that the women knew was extremely limiting and virtually unattainable. The Real Truth About Beauty: A Global Report found that “among the study’s findings was the statistic that only 2% of women around the world would describe themselves as beautiful.” Since these horrifying findings, Dove has put forth amazing effort to break beauty stereotypes and make people realize that beauty is not what the media portrays. The first jab at the media came when Dove aired a commercial that featured real women whose appearances were not of the norm. Dove asked their viewers to judge the women’s looks and vote at their website. 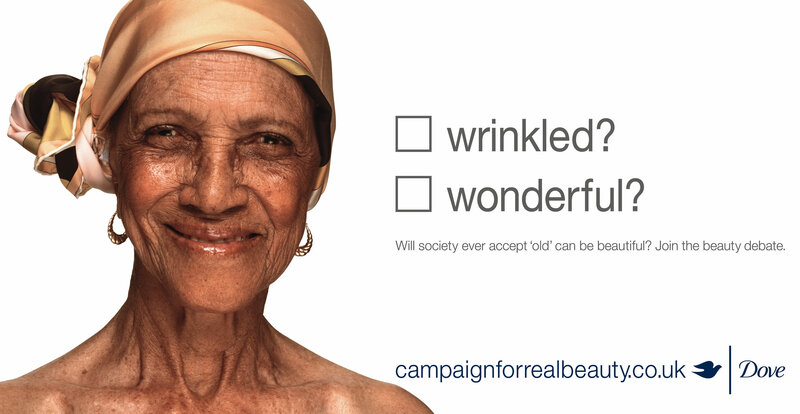 The options for the voting consisted of questions such as “oversized or outstanding?” and “wrinkled or wonderful?” Since the campaign was created, these commercials have made an impact on women around the world. 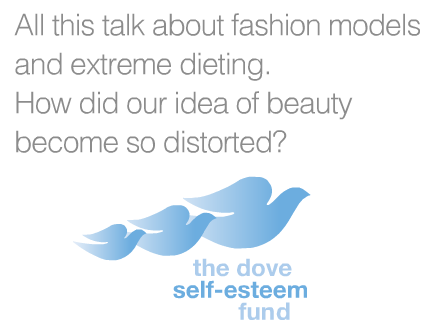 Dove has seen an increase in the percentage of women who can describe themselves as beautiful.